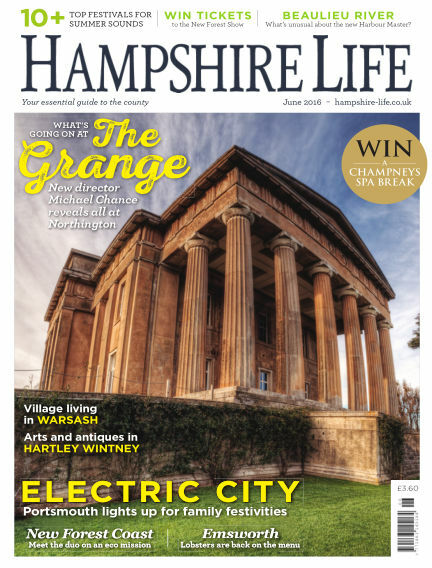 In this issue of Hampshire Life : Electric City: Portsmouth lights up for family festivities - What's Going On At The Grange: New director Michael Chance reveals all at Northington - New Forest Coast: Meet the duo on an eco mission - 10 Top Festivals for summer sounds - Beaulieu River: What’s unusual about the new Harbour Master? With Readly you can read Hampshire Life (issue June 2016) and thousands of other magazines on your tablet and smartphone. Get access to all with just one subscription. New releases and back issues – all included.